When I land in the nursing home, I want you all to do me a big favor (I’m looking directly at my nephews Bennett and Harrison) and please make sure you give this recipe to the cooks. In my diapered, toothless state of decay I would much rather eat this glorious version of rice pudding than the gelatinous instant garbage I would otherwise be fed. Rice pudding is one of those desserts that is mostly just okay 99% of the time and I will never understand how that weird place in SoHo, Rice to Riches is still in business. In fact, I’m partially offended that I have to see it out the window when I’m having morning beers at The Spring Lounge; a constant reminder that NYC dive bars are dying because people would rather pay $8 for a cup of pudding than sit next to a toothless old man drinking beer and regaling days of yore. All this complaining aside, I do think rice pudding deserves better than it is mostly treated. It is an extremely economical way to use up leftover rice and with a few jazzy ingredients like rose water and cardamom, it becomes almost elegant considering it’s still a pudding. It can also be made ahead of time, served at room temperature or cold, and it’s great for all ages, especially for our dentally challenged young and old. In a medium pan, add the rice and milk and bring to a boil. Turn the heat down and add the cream, coconut milk, rosewater, sugar, cardamom, cinnamon and salt. Simmer, stirring frequently for 10-15 minutes or until the rice has thickened. Remove from the heat and stir in the raisins. Transfer the pudding to individual serving bowls. Garnish with the mango. *Note: This pudding can be served at room temperature or cold. If you are planning on chilling the pudding, make sure that you put a layer of plastic wrap on the surface of each pudding to prevent a film from forming. My name is Louise and as you may have guessed, people call me Weezy. 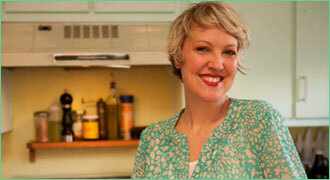 I pay the bills working as a chef, food stylist, recipe developer and consultant.